Some summer days can really sizzle, cooking fresh cut flowers to a handful of wilted greens, but with all the lovely stems available when the weather is warm, summer is a great time to buy flowers. Choosing the right stems for when temperatures flare can be a challenge now that flowers can be flown in from around the world no matter what the season. Whether you are looking for the perfect bloom for a June wedding, a July birthday, or an August anniversary, these 6 stems will look fresh and fabulous on even the most sweltering days of summer. 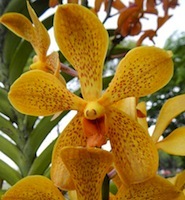 Their delicate petals may make them look fragile, but their tropical origins make many members of this diverse group of blooms hardy on the hottest of days. The mokara, dendrobium and cymbidium orchids come in a wide variety of colors and sizes and stay cool in even the muggiest of days. Keep them moist and they’ll keep their petals held high all day long as a corsage, boutonniere or vase arrangement. 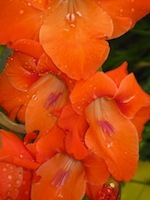 Summer-bloomers, the vibrant petals of this large bloom are cheerful and have a certain wildflower look. Mix them in a bouquet with sweet peas and lilies and their sturdy stems will help hold these daintier flowers upright all day. Orange, yellow, pink and red, a mix of colorful zinnias looks like fireworks for your Fourth of July picnic. Put them in a mason jar for centerpieces at a wedding for a natural, outdoorsy look or pin one behind your ear for a festive night out. 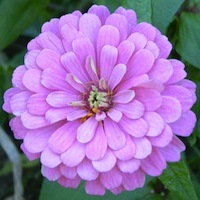 Technically a fall flower, this autumn bloomer is available year round and will look fresh any time of year. One of the most versatile of flowers, this sunflower family member is also one of the most affordable at your local florist. With every color of the rainbow (except blue), you can find a mum to match just about anything. 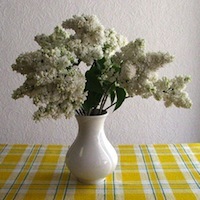 These long, strong, summer stems are gorgeous in a vase and will last for many days, no matter what the temperature. A natural pick for summer, these blooms open up along a stem that can reach over 3 feet and can come in vibrant shades of red, pink and even green. They look outstanding in a tall, glass vase in a solid color, or mixed together with a variety of colors for a festive feel. Forget what you’ve heard about the tenderness of roses- these blooms were made for long, hot nights. While it is true that roses last longer in cooler temperatures, most will put up with a day or two of sizzling temps if you pick them fresh. Avoid white ones, which can sometimes brown when it’s steamy outside, and pick a deep, buttery yellow or hot pink one, which smells best carried on the breeze of a hot summer night.